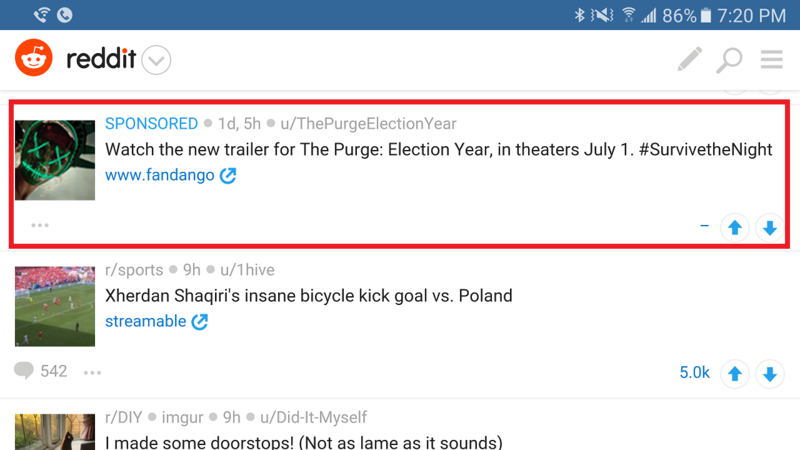 Reddit recently introduced Mult-Subreddit ads allowing advertisers to target one message to more than one subreddit at a time. 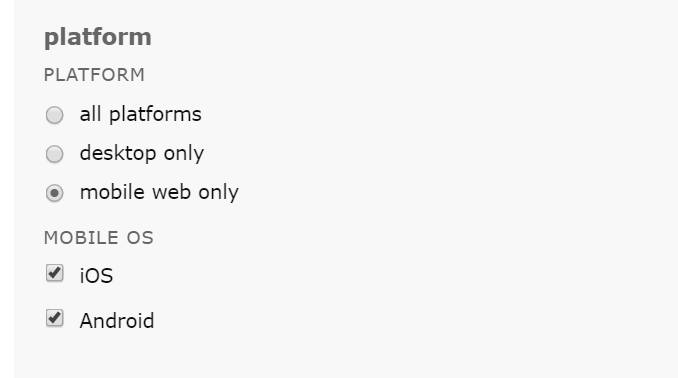 While this new format allows for easier setup of ads that focus on topics relevant to up to 100 subreddits and gets the ad on the frontpage, it apparently won’t give the advertiser granular data on how each subreddit performs. This is on our roadmap, we don’t have a set date for it but we are working on it. You will need to create campaigns that target only one subreddit to get that granular data for now. This takes some of the reasons to run a multi-subreddit ad away, but the multi-subreddit format is still very attractive for targeting a group of low-trafficked subreddits. For bigger one’s create one off ads so you can better optimize for them. Reddit recently rolled out image hosting on their website to all users. Previously to have an image on Reddit many communities required you to use a simplified image host such as Imgur. This feature was not added to the advertising platform though. I reached out and asked the advertising team if this was a feature that was coming and when we could expect it. The answer was, possibly for good reasons, really vague. Reddit Ads staffer, MyNameIzKhan, said that they are looking into this and that it will be available soon, but was unsure of when it would be available or what it would look like. Image hosting inside of the Reddit Ads platform would open up a lot of new advertising opportunities for campaigns beyond the current usage of a thumbnail image. We can look at Imgur as an example where eBay is running ads using the gallery format to tell a story and since Reddit is all about deep, meaningful, and somewhat anonymous conversations; this style of advertising could really help marketers drive more engagement within Reddit and paired with geotargeting could be a great resource for small businesses trying to reach a local audience. 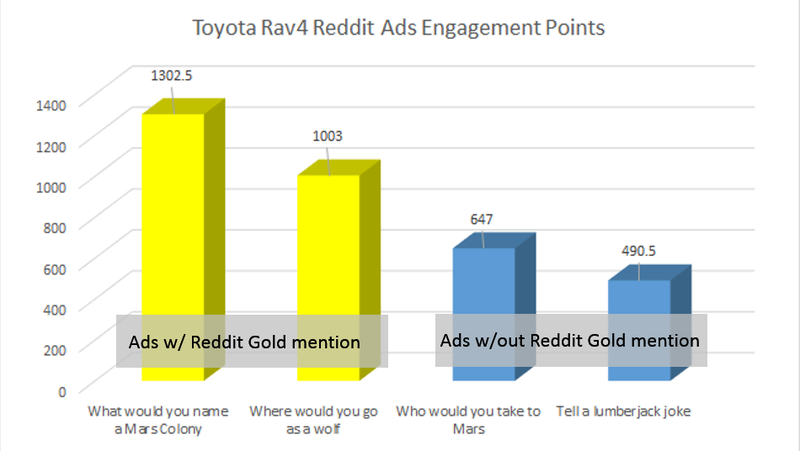 Redditor OhByInc tried setting up a few ads and both were rejected by Reddit, but the reason wasn’t very clear and they asked for more information in the subreddit. Created two self serve ads last night – 4ox84g and 4ox2ox. I was using the business credit card, not my personal card, so I put in the business name for the “name” field, which BTW WORKS PERFECTLY AND IS NO PROBLEM WHATSOEVER. This particular ad rejection was for an issue with the credit card name field.Having your ad rejected for any reason can be a harrowing experience, so it’s understandable that OhByInc was upset. Reddit staff member HappySharkz responded to the post not only agreeing to help out OhByInc by correcting the issue and getting the ads approved but also stated that Reddit would work on providing more information when rejecting ads in the future. We appreciate your feedback! We will adjust our rejection reason to ensure that advertisers have a clear understanding of what they can do to fix their ads. It’s great to see Reddit committed to improving the advertiser experience and fixing these issues that advertisers are having. If you’ve had your Reddit ads rejected we would recommend posting in the /r/selfserve subreddit and asking for help getting your ad approved or emailing them at advertising@reddit.com.